Years of severe drought have created a water crisis in the Mahbubnagar region in Telangana, a state in southern India where half the population of 35 million depends on agriculture to earn a living. The water table had virtually depleted and the monsoon rains now only last three to four months a year. The only option for providing adequate water for farming and drinking is to pump it from the Krishna River to a reservoir nearly 300 meters above. From there, through a gravity-driven “lift irrigation” system, the water can be channeled through nearly a hundred kilometers of canals to the parched farms and more than 300 villages that were at risk of turning to desert. 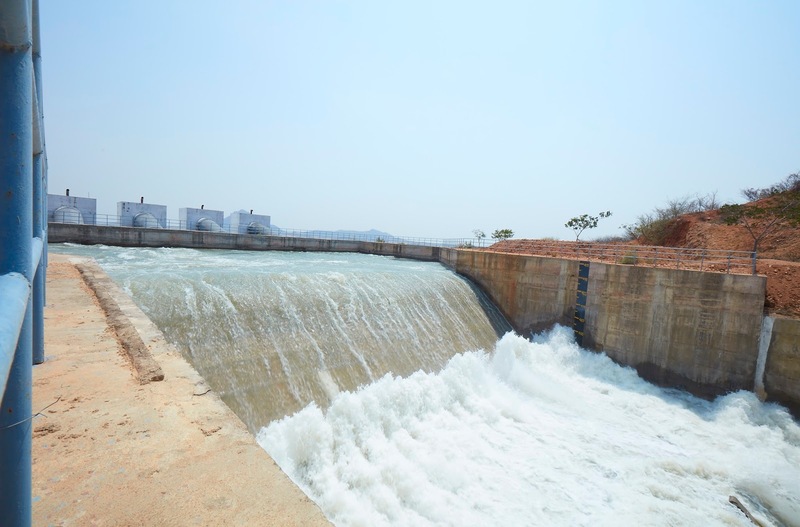 That 12-year-long project, the Mahatma Gandhi Kalwakurthy Lift Irrigation Scheme (MGKLIS), was recently completed. This was made possible only through considerable feats of civil engineering: industrial-strength water pumping technology and electric-power management systems that ABB, with decades of irrigation experience in India, provided. Now, the villages have a dependable supply of drinking water. Just as crucially, with the canals and a network of storage tanks irrigating about 137,000 hectares of land (an area nearly as large as the sprawling city of Los Angeles in California, U.S.A.), farmers who had retreated to cities in search of a livelihood, are now returning to cultivate the soil once again. Ramakrishna, a local farmer left the village eight years ago and worked as a manual laborer in the construction industry in the city. “After hearing the benefits of the project from my friends, I came back to have a look,” he said. Now Ramakrishna cultivates peanuts in his home village. “I can now get adequate water throughout the year and have witnessed the parched land transform into miles of greenery,” he added. Pumping water at thousands of liters per second to reach a reservoir 298 meters above river level – the height of the Eiffel Tower – requires huge motors and high-voltage power systems. The MGKLIS project called for lifting the water in three separate stages, with ABB handling the critical middle stage – Lift II, with an 86-meter rise. The key features of the Lift II project were five 30-megawatt (MW), 11-kilovolt (kV) motors, each with a 23,000-liters-per-second pumping capability. They are the largest capacity and physically biggest motors used yet by ABB India in an irrigation project. Each motor has a footprint of more than 30 square meters. Powering these motors up to pumping speed from a dead start requires considerable amounts of electricity and potentially puts great strain on the mechanical systems and the local utility grid. ABB’s soft starter solution involves a 6 MW load commutated inverter (LCI) that minimizes the electrical surge, and variable frequency drives (VFDs) in the motors that enable them to start smoothly before accelerating up to 333rpm. ABB partnered with Andritz Pumps to provide this advanced pumping solution. In addition, ABB also offered substation equipment, transformers, and a digitally enabled supervisory control and data acquisition (SCADA) monitoring system that ensures a steady and reliable drawing of power from the grid and smooth pumping of water into the reservoir.